This online news article reports that bacteriophage affects the control Wolbachia has over host reproduction, particularly the processes of cytoplasmic incompatibility (CI) in which infected males are unable to mate with uninfected females. The finding adds to the complexity of multi-layered symbioses. Links are provided to the primary literature as well as supplemental articles and individual research programs. 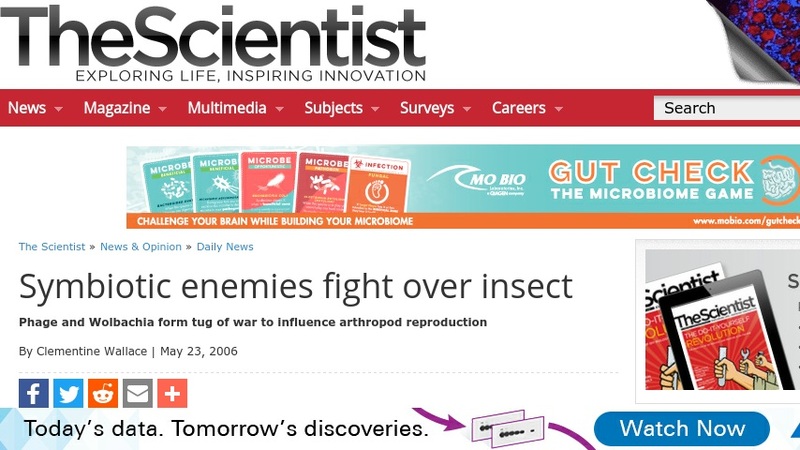 A subscription to The Scientist may be required to access this article.